To be frank, this post is partly for amusement as it takes me back to my childhood. My mum would sit me down with the Argos and Index catalogues and I would write down the numbers for every doll on each page. Being absolutely honest, there is nothing I need, I have a roof over my head, food on the table and an overall happy life. That aside, I thought it would be good to write a Christmas list so my husband has "subtle" hints of the direction I was hoping for him to go in and also, it may give you present ideas for your friends and family. So let's get started with my fantasy Christmas list. The choosing every doll from the catalogue has been replaced by me saying that I would be delighted with anything from Jo Malone. The only scent I'm really not keen on is Peony & Blush Suede. My favourites are Blackberry & Bay or Sea Salt & Wood Sage. 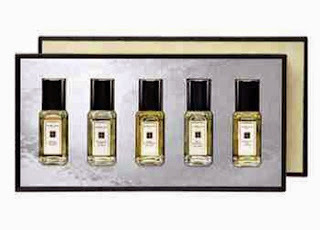 Last year my husband got me their Cologne Collection five piece gift set with the various miniatures which is so handy as you get to try various sets and these sets are only available at Christmas time. I'm very keen to their their more intense gift set which, as expected is more expensive but I'm sure it's gorgeous. Something I totally forgot to buy in the States as it would have been a little cheaper was Glam Glow Thirsty Mud. I hear that it smells amazing and is a fantastic way to hydrate your skin. I already like their Youth Mud so I'd love to try that one as well. Swarovski Crystal studs are always welcome, I'd actually prefer Swarovski Crystal to diamonds! I literally don't have many earrings at all, probably about five sets which are all Swarovski. Laura Mercier Petite Patisserie Body Crème Collection have been something I've been extremely interested in as a complete luxury item. I hear that they're gorgeous and would truly be a treat for the skin after a long bath. As it's been suggested before, if you have a group of friends they'd be equally as good to buy the set and split it between six people making them seven pounds fifty each. Next up is the Muji Aroma Difuser which I've contemplated treating myself to every time I visit the Trafford Centre and passed their section of Selfridges. 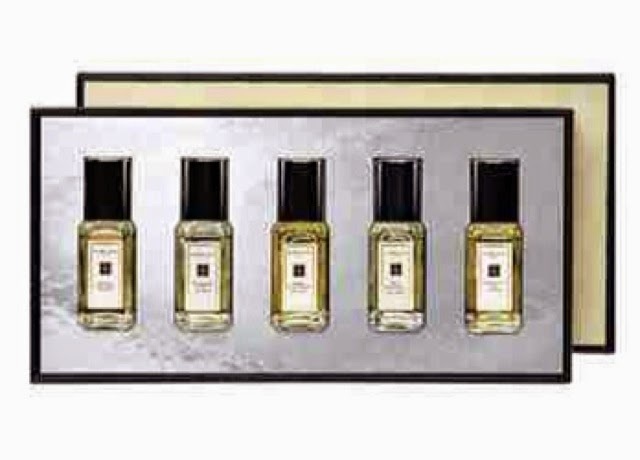 The fragrances are lovely as it billows out of the machine in such an attractive fashion. You can get the small or the large version, I believe the small version will do for most rooms and I think I would enjoy it in my bedroom along with the lemongrass scent and various other citrus and relaxing scents. 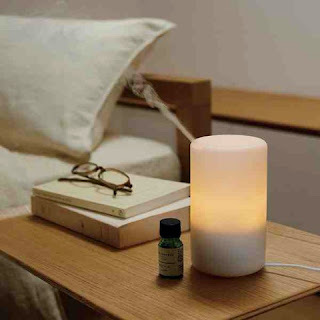 I know that this will be extremely calming with the combination of be light as well as the fragrance would make it brilliant for a friend or family member or even your therapy room. I think this would be a thoughtful gift if you know someone who struggles to sleep as it makes the room tranquil. I wouldn't mind a little something from Hotel Chocolat. A couple of years ago my friend got me a selection bag of theirs with a delicious chocolate wreath and various other goodies in their Christmas Goody Bag and it was something different. Hotel Chocolat is such a fancy treat and with their selection packs they do you can truly get anything. May I suggest their chocolate fudge which I tried more recently and is mind blowing!! Lush is always a winner too. Although I like their gift sets, I must admit I like the more practical presents and would prefer a pot of their Big Shampoo which is amazing to get your hair squeaky clean and a little volume. I do love their massage bars and highly recommend you get a tin for it! If you're looking to get someone a Christmas Eve present then I think it's nice to get them Pyjamas and a Christmas bath bomb as they always do really festive ones. I'd love to have a new pair of boot style slippers. I basically live the whole year in boot style slippers apart from the rare summer days that I would literally melt in them. I'm not too much of a slipper snob but I do appreciate a good quality boot so normally the ones Boots do (no pun intended) on three for two are normally pretty good. Gift vouchers are always welcome in my opinion. I love being able to treat myself after Christmas Day because after all, the person who gave you them truly gets the best out of their money (and you benefit of course) because everything you buy will be in the sales. A couple of suggestions for gift cards would be Next, MAC, New Look, Boots, ASOS, Amazon, Debenhams or whatever the person's favourite clothing store is. If you want to get someone a really beautiful gift set then I highly recommend you check out Origins or Liz Earle. If you're not sure if the person has sensitive skin then definitely Liz Earle is the way to go as all of her products are suitable for all skin types. A fantastic website for unique gifts is notonthehighstreet.com which is brilliant for personalised presents. It was my parent's 40th wedding anniversary this year so I ordered an artist to draw the church they married in to celebrate. There are definitely a lot of really thoughtful presents on there. Find Me A Gift is also another good website to find something perfect and in some cases, a little bit quirky too and there are some personalised options too. I do find Accessorize to be a good website for stocking fillers such as purses, jewellery and scarves which are reasonably priced and there is a lot to choose from, depending on the recipient's personal taste. Although I don't always agree with the morals of it, you could look for a bargain on Groupon in terms of an experience, a hotel or a spa break. A little trick of mine is to go onto websites such as Amazon or Ebay and type in random words of things that the person might like. For example, if your dad is a big Harley Davidson fan then type that in and you might find something that he would like or it might help you get ideas by brainstorming it. I hope you've found this post useful and it's given you a few ideas! Obviously I won't be getting everything I've mentioned but I just wanted to give you some suggestions to get you thinking! Whatever you buy remember to shop around as there is always deals to be had! Sign up to Quidco.com as well to get paid to shop on most of the stores I've mentioned - it's worth it!